Step 1 Beat butter and powdered sugar on medium speed in electric mixer fitted with paddle attachment 5 minutes. Scrape down sides of bowl. Step 2 Add yolks 1 at a time with mixer on low speed. Add cream and mix at medium speed 1 minute. Turn off mixer and add flour. Mix on low speed until combined. Do not over mix. Step 3Divide dough in half, wrap in plastic wrap and refrigerate 1 hour. In Recipes-list.com we have selected the most viewed recipes from category - Desserts . Enjoy the best recipes specially selected for you! 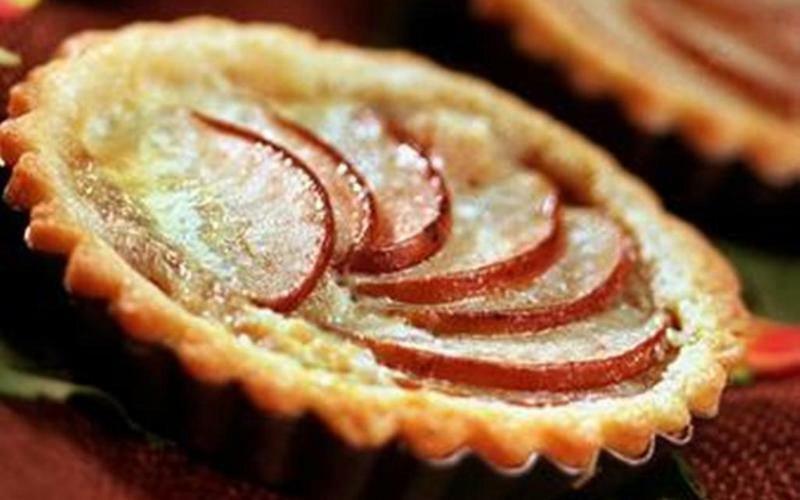 Asian pear tart is the right choice that will satisfy all your claims.